Browse: Home / Blog, News / We’re back!!!!!! Hi there – we’re back!!! 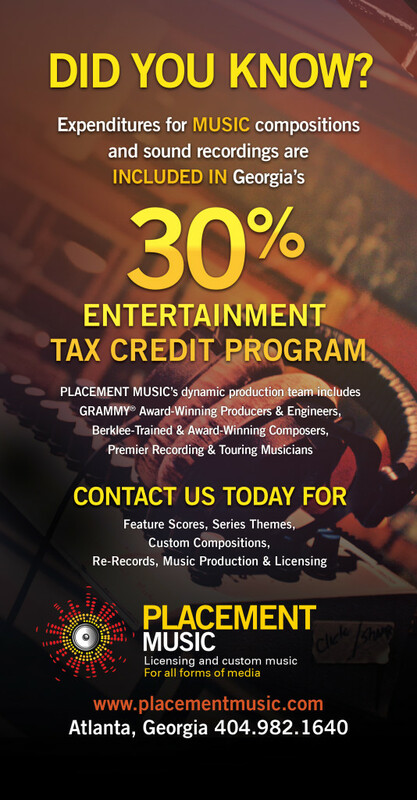 While we’ve been hard at work on growing music opportunities to compliment Georgia’s $6 billion film and TV industry (see http://georgiamusicpartners.org/gmp/blog), we’ve also been working on signing some great new artists and recording BRAND NEW Placement Music Originals with the creative team. So stay tuned and check back soon. In the meantime, take a look at our new ad for the upcoming 2016-17 Georgia Film and TV Sourcebook. Feel free to SHARE the info!